Short Sale Mrs. CLEAN lives here and it shows!! Immaculately kept home. Still looks brand new. Upgraded from the builder ...THE BIRCH model home features large rooms in a beautiful workable floor plan. The kitchen features granite counter, stainless appliances, tons of cabinets and an extra large pantry. The Master bedroom is spacious and features a fabulously large shower in the en-suite master bath. The garage is a side load garage featuring a golf cart parking feature. This gorgeous well kept home is located in the 55 plus community of Stone crest. There is a variety of clubs to join such as aerobics, billiards, bridge, bunco, canasta, computers, cooking, horseshoes, pickleball, photography, singles, softball, tennis and more. Located within 15 mins of Oklawaha river, lady lake and Ocala forest, residents can enjoy outdoor activities such as fishing, boating, hunting and camping. This home is a must see home. If you like clean and open floor plan homes, this is the one for you. 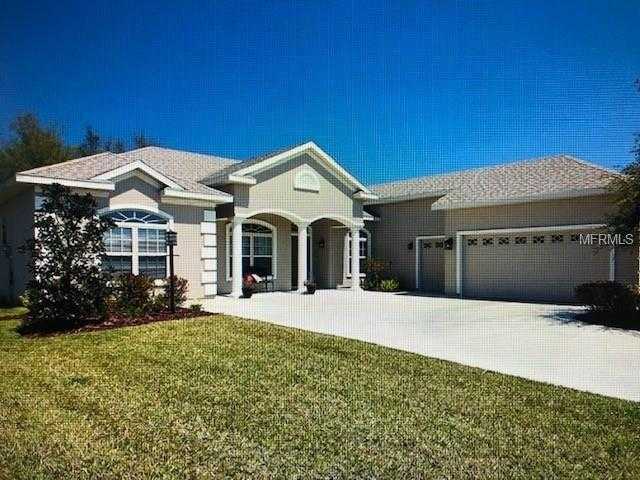 Please, send me more information on this property: MLS# T3140142 – $279,900 – 11024 Se 168th Loop, Summerfield, FL 34491.